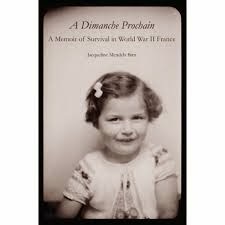 Jacqueline Mendels Birn is the author of A Dimanche Prochain: A Memoir of Survival in World War II France. She was born in Paris in 1935, and, with her family, spent part of the war in hiding in a small French village, Le Got in Dordogne. She spent 28 years working for the Foreign Service Institute, and works as a Survivor Volunteer at the U.S. Holocaust Memorial Museum. She lives in Bethesda, Md., and Cape Cod. A: I survived the Holocaust when I was a child; my parents never really talked about it. I’ve been married for 56 years; after I met my husband, we came to New York. We were engaged. I met his parents, and people asked how you survived. I did not know too much—I knew about the demarcation line, about living in a small village, about being afraid of the Germans, and that my mother had little [cyanide] pills that we would die if we took. Richard was in the foreign service, and we were overseas. We never talked about anything [when I was growing up], and when we were overseas I never talked about it. We had a long stay in Washington. In the ‘80s, he was working for USIA. I worked at the Foreign Service Institute. I worked there for 28 years, teaching French. We had area studies for the students going to Francophone countries. I started raising my hand and telling what it was like in France. Finally, the professor, the State Department person, gave me priority and I started talking for an hour, two hours, three hours, about World War II. I knew my maternal grandmother had committed suicide. My father inquired with the Red Cross [about his family members]. He knew his mother [and other close family members] had been murdered. Now I know that 200 members of my family were murdered. My brother’s daughter, Jessica, was my editor. She found out. I had written about seven pages on what it was like to be in World War II. I remembered crossing the demarcation line, being afraid of the Germans, and that my mother said [if we took a cyanide pill] we would die and would never suffer from the Germans. I accepted that very readily and so did my sister. I have 65 hours of DVDs; they were very useful for my book. I was inspired by the 65 DVDs, and books I’ve read on World War II and France. And I was working with a historian who helped me get information that was in the archives. The first two chapters are about my ancestors, the Dutch part of my family and the German part of my family. I had interviewed my mother before she died. Her mother committed suicide in 1941; she was about to be deported. That inspired my mother to get cyanide for us. Especially last year and the year before, Jessica and I were on the phone and e-mailing almost every night. She was my editor in chief; she had majored in photography, and she added photos of my grandmothers, my ancestors, and us. She also added documentation from the archives and letters from a cousin who went to Palestine and survived. Another cousin went to England and tried [unsuccessfully] to get the family out of Holland. My grandmother was murdered in Sobibor. All that is in my book. The book is dedicated first of all to my brother, and second to my two grandmothers. Q: How did you choose the title? A: My parents, when we were in hiding in the tiny village, would raise a glass every Sunday morning and say, A dimanche prochain, we would survive another week. When my daughter and niece asked about a title, it came out of my heart, because my parents said that. Q: You did a lot of research for this book--was there anything that particularly surprised you in the course of your research? A: Yes, for example my father’s cousin in Palestine had kept letters from my father. After he died, his son said, I’m going to send you the correspondence. I found out my father had told him, I’m going to join the Free Dutch Forces in England. My father was ready to go; he wrote saying, I don’t know how Ellen [his wife] will manage with the two little girls. Then there was the declaration of war, and my father couldn’t leave the country. My father never told us. I can’t remember and my sister can’t either when we found out that our maternal grandmother had committed suicide. Every November 15, my mother put a plant on the piano with a photo of her mother. A: Two things. Four years ago, I managed to have a plaque [made] to honor the village for saving Jewish families. Actually, we were the only Jewish family. It’s at the end of my book. I was very proud that I was able to do that. Now I’m working to get Righteous Gentile [status for the mayor of the town]. The information is in Jerusalem at Yad Vashem right now. I hope there will be a posthumous medal for the mayor, because he really saved our lives. --Interview with Deborah Kalb. 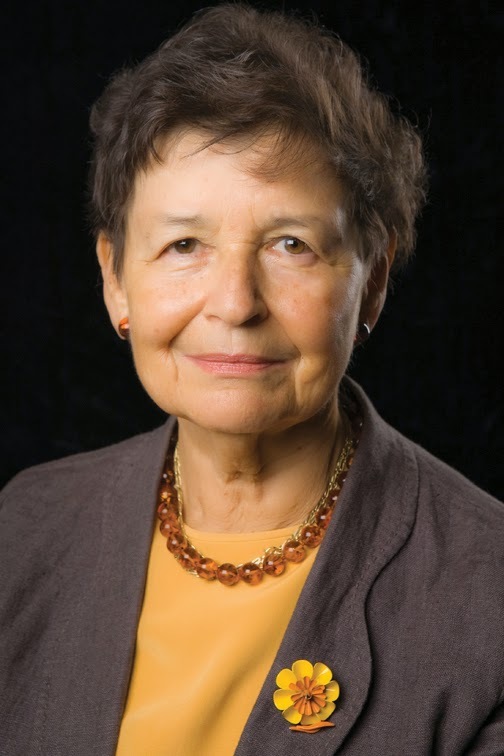 Jacqueline Mendels Birn will be participating on March 29, 2014, in the Authors' Roundtable organized by the Temple Sinai Women of Reform Judaism in Washington, D.C. For more information, please click here.